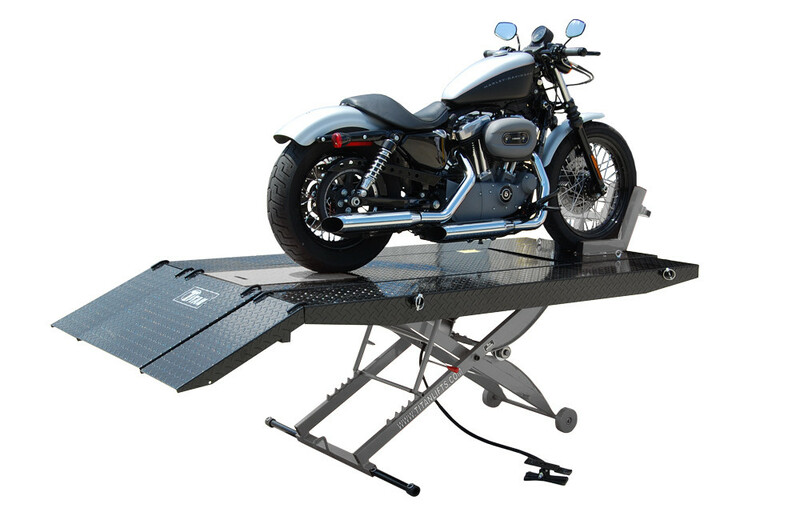 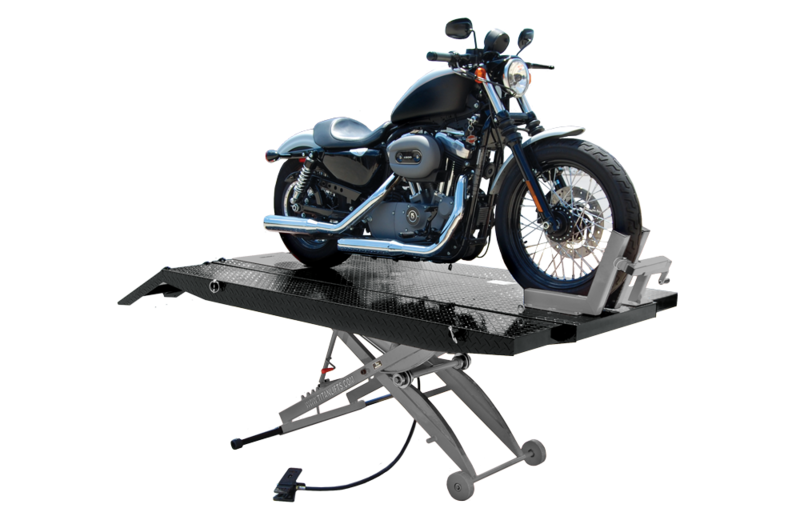 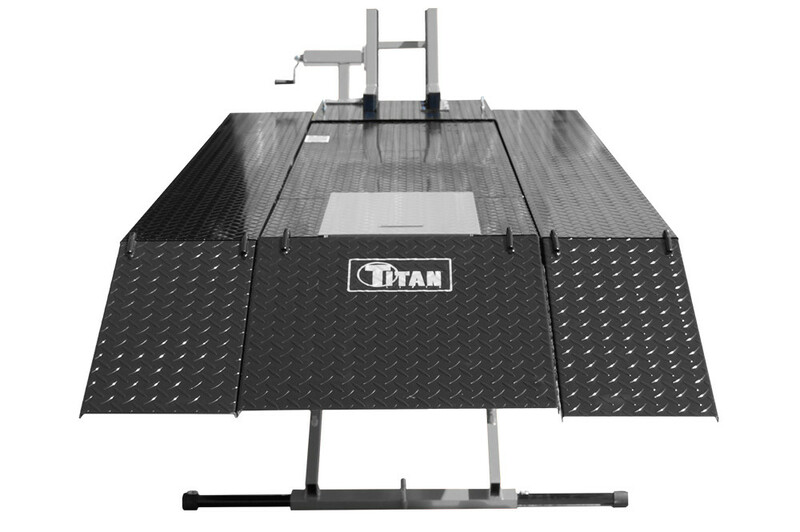 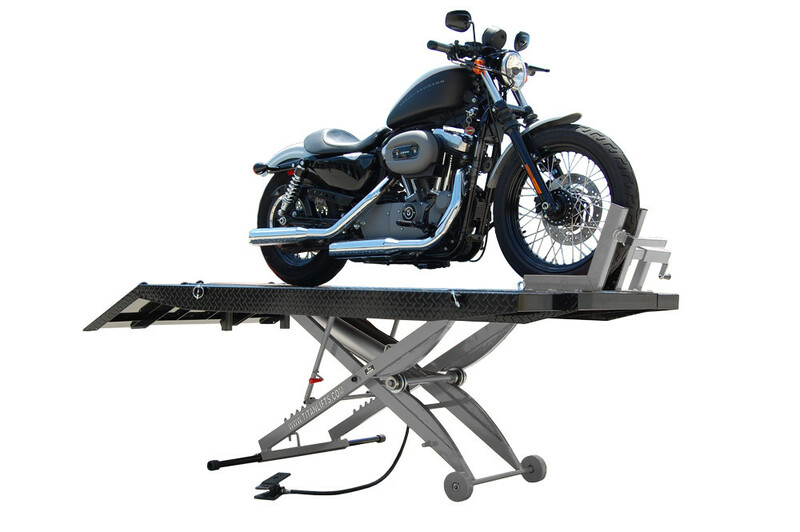 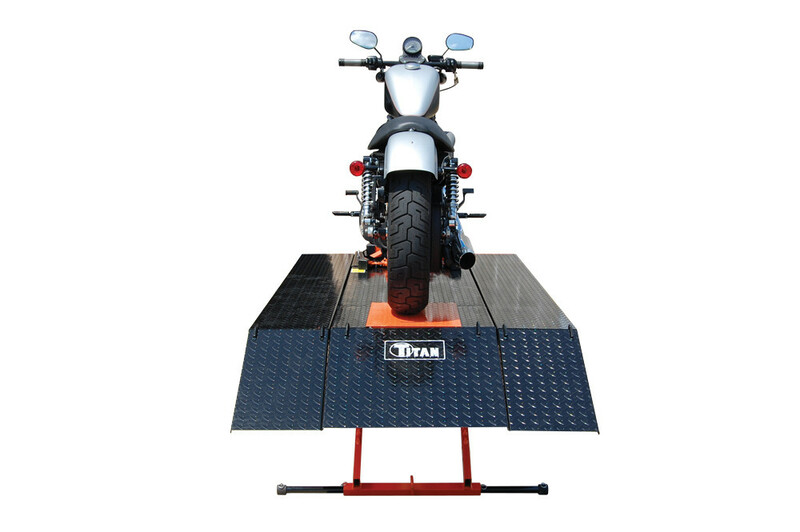 The Titan 1000D-XLT comes fully equipped with front tire vise, front extension and side extensions which gives it a large enough platform to work on everything from motorcycles and ATVs to jet skis and snowmobiles. 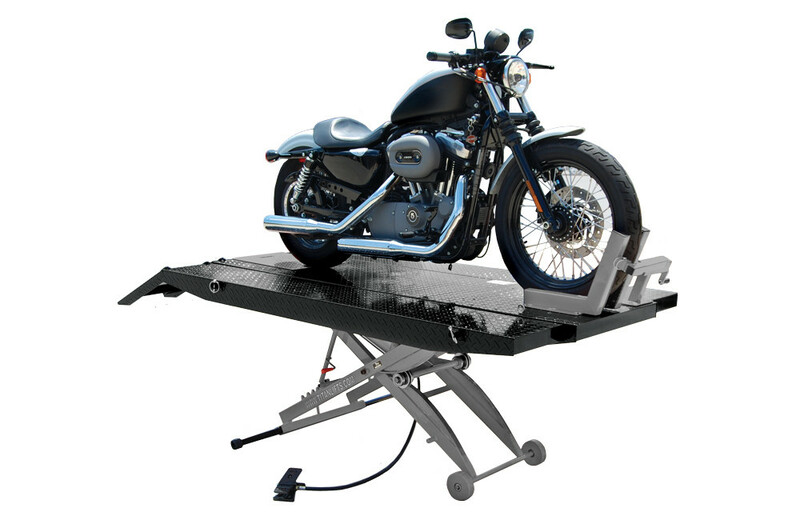 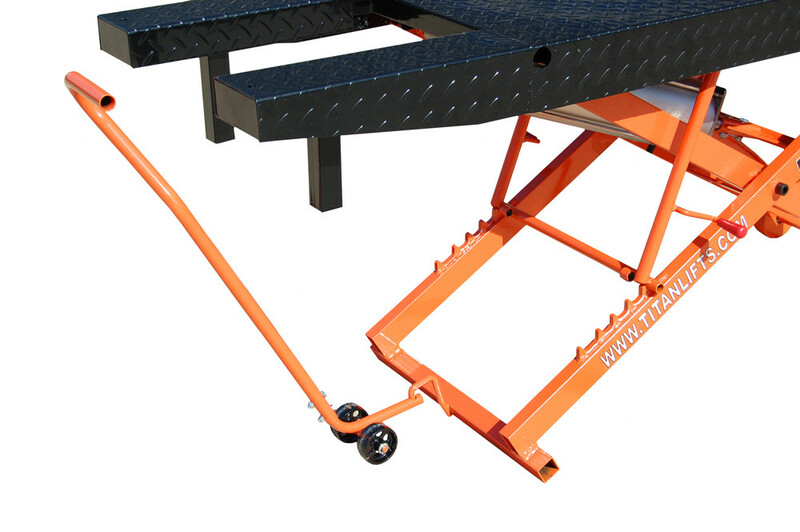 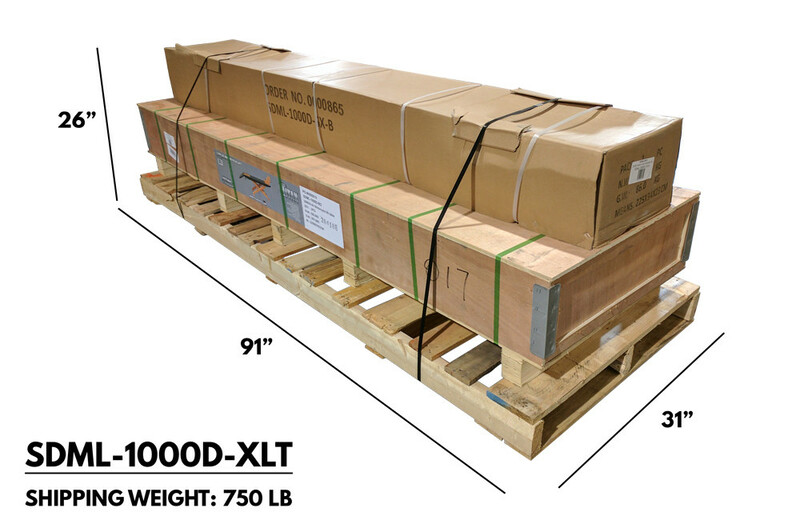 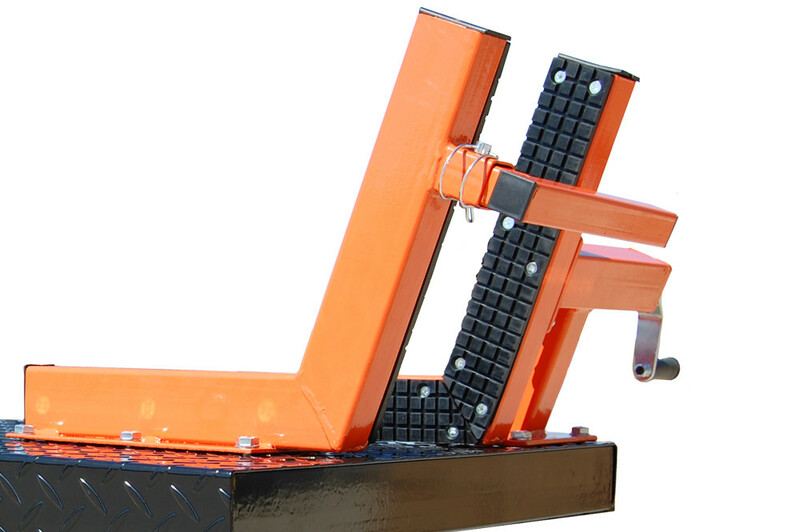 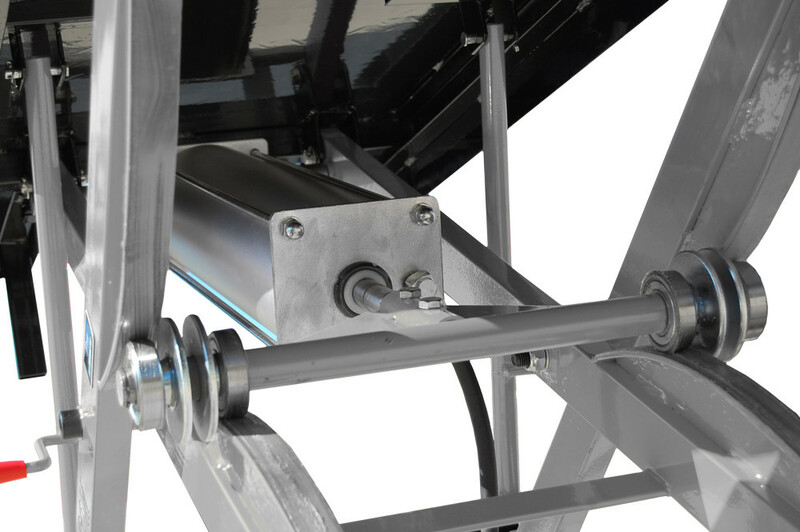 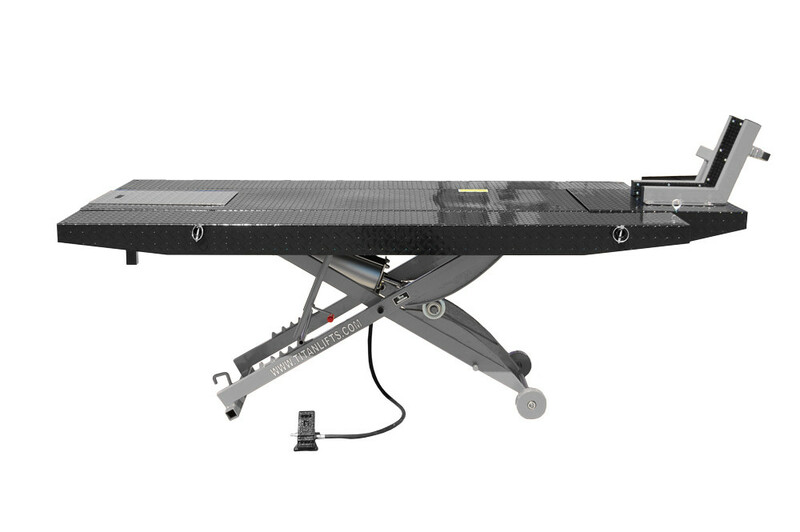 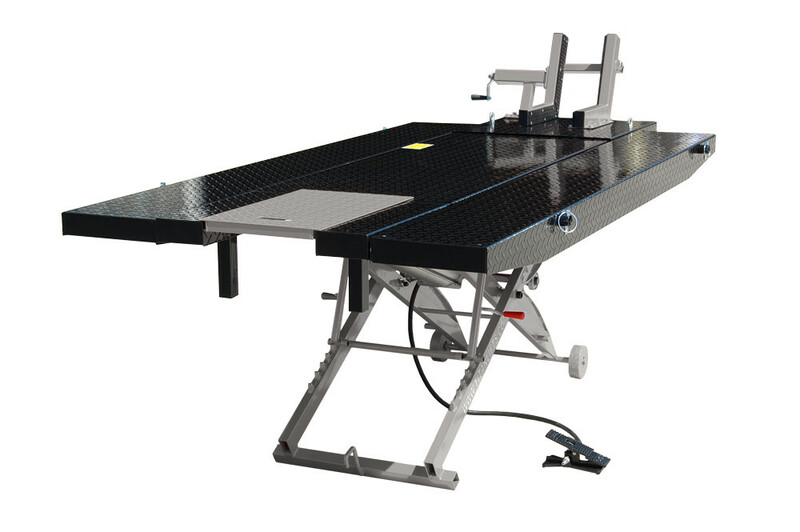 This heavy-duty diamond plated lift can handle up to 1,000 pounds with its 7" air powered cylinder which raises the extra-large platform up to 33". 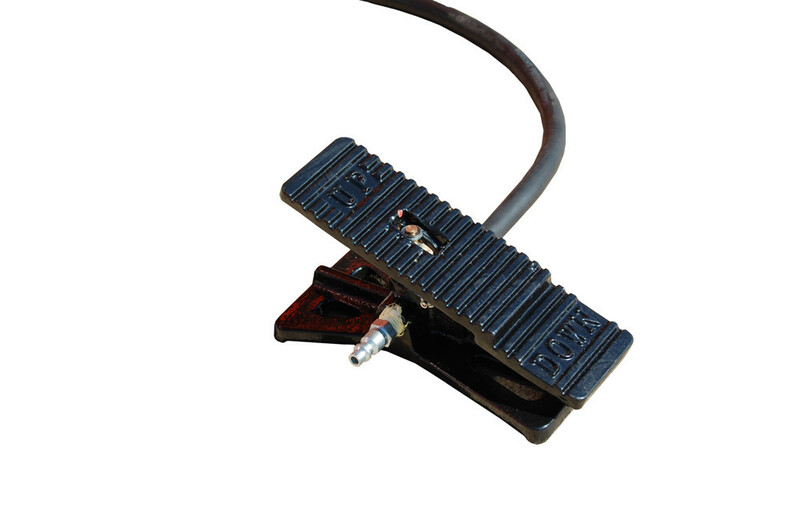 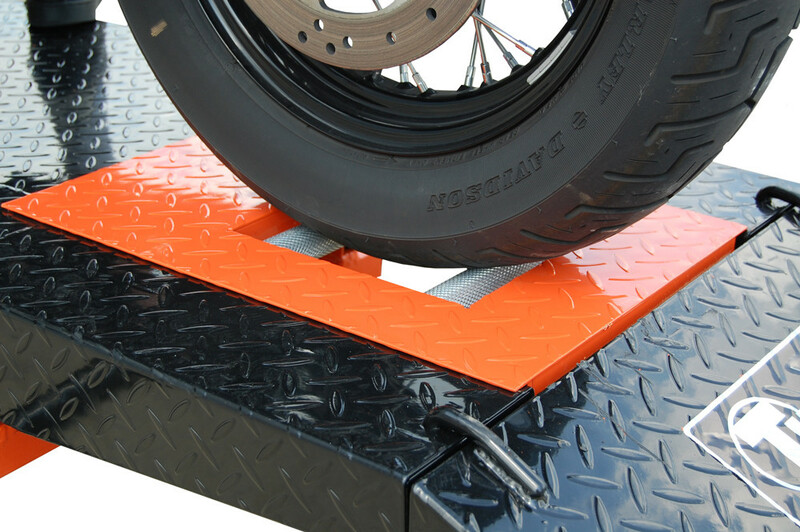 Choose between two different powder coating color schemes of Black & Grey or Black & Orange.